Punja Sahib Transport Co. is a hub for Luxury Cars in New Delhi. Offering the best Car Rental Services to the travelers so as to ensure maximum comfort, we have a whole fleet along with well-trained and friendly drivers. 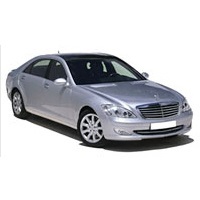 The fleet of the Luxury Cars is inclusive of Mercedes Benz (S 350), Toyota Camry and Cheverlot Travera. Our motive is to provide you the best Luxury Cars so as to ensure that your comfort is never compromised with.